Enamel is the porous, calcified substance that makes up the thin outer covering of your teeth. It’s the hardest mineral substance in your body, even harder than bone but it can still be damaged. How Does Enamel Protect Your Teeth? This layer plays an important role in your oral health since it helps protect your teeth from decay and other damage. Enamel insulates your teeth from painful temperatures as well as from damage that can happen because of chewing, biting, and grinding. How Can Enamel be Damaged? Enamel damage is called demineralization, and it’s classified in two different ways: erosion and abrasion. 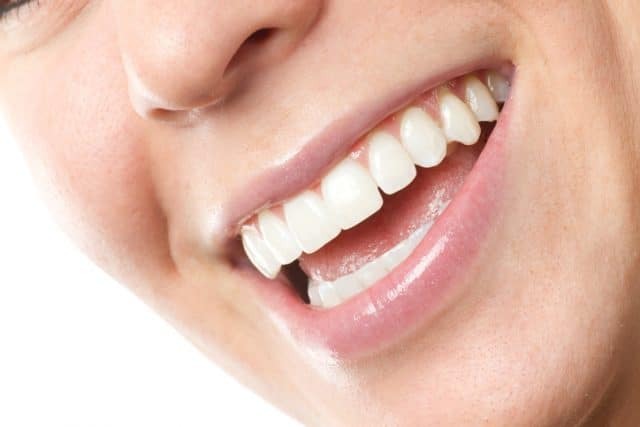 Erosion refers to the wearing away and eventual loss of enamel that usually occurs because of acid in foods or beverages. Abrasion is the wearing away of your enamel because of a mechanical source such as brushing too vigorously. What Are Some Signs Your Enamel May be Damaged? Mild cases of damage may only be noticed by your dentist, so it’s important to receive regular dental care. Your dentist can help you find ways to protect your teeth and keep your enamel from suffering further damage. Sensitivity to hot and cold- You may experience a sensation or pain when you drink hot or cold beverages. General sensitivity- Your teeth may become sensitive at different times, and you may not necessarily be able to determine the reason why. Roughness- Your teeth may become rough around the edges or have indentations on their surfaces. Color- Yellow or very shiny teeth may be signs of enamel loss. Tooth loss or fracture- Without enough enamel to protect your teeth, they may be fractured or even fall out. How Can You Protect Your Tooth Enamel? Avoid certain foods- Limit sugary and acidic foods and beverages, and if you do consume them, brush your teeth thoroughly afterward. Also avoid chewing very hard foods such as hard candy, and ice. Practice good oral hygiene habits- Brush twice daily using a fluoride toothpaste, and floss once a day. Also, visit your dentist for regular checkups as well as when you have any signs of enamel damage or any other dental concern. Don’t brush too hard- Although brushing is important, you shouldn’t do it too vigorously. Use a soft-bristled toothbrush, and if you think you may be brushing too hard, use your non-dominant hand to hold the brush. Receive treatment if you have acid reflux, or bruxism (grinding your teeth) – These conditions can damage your enamel with acid or by erosion. To receive regular dental exams that can help detect enamel damage or any dental concern, speak with your Dental365 dentist. Make an appointment or stop by one of the many convenient New York area offices. We have offices open seven days a week with extended weekday hours for your convenience, and we welcome walk-ins.